Bella Hadid was photographed carrying a Tyler Alexandra handbag over the weekend. 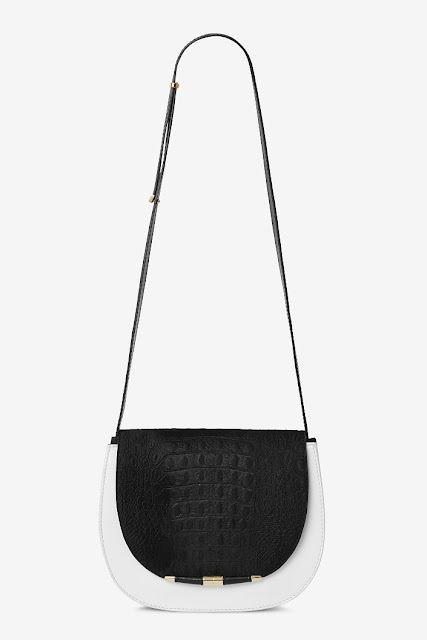 The model looked chic in all black on the streets of Paris carrying the Tyler Alexandra Jane Saddle Large bag in White Leather/Black Suede ($1,895; www.tyleralexandra.com). See who else has been spotted with Tyler Alexander bags. Learn more about Bella Hadid.